The second part of the Crime in South Florida series features criminal activity in the 1930s through the 1950s. The Great Depression decade was a time-period when Miami was thoroughly distracted with the presence of gangster Al Capone. The residents viewed him as a celebrity and law enforcement treated him like a pariah. It was during this decade the nation almost lost President-Elect Franklin Delano Roosevelt in Bayfront Park. A self-described anarchist fired several shots and, through good fortune, did not hit the president-elect. However, he did manage to hit the Mayor of Chicago, Anton Cermak, who succumbed to his injuries days following that fateful night. Once Prohibition was reversed with the passing of the Twenty-First Amendment, criminals shifted their attention to gambling. The rise of the S&G Syndicate and the arrival of gangsters, such as Meyer Lansky, led government officials to form the Greater Miami Crime Commission, which was led by a well-known, former FBI agent. 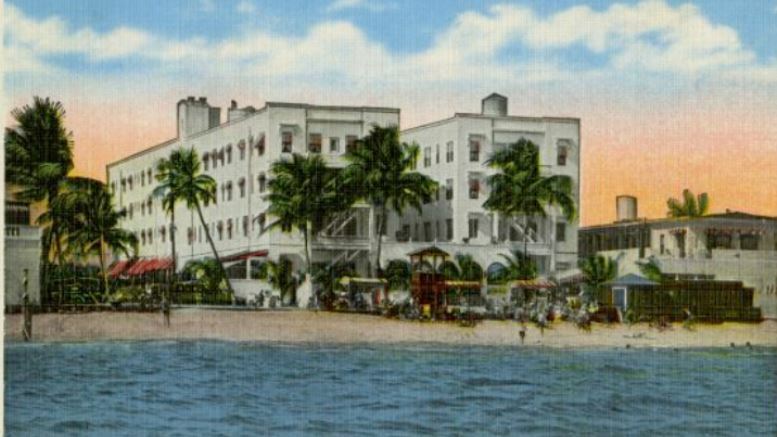 When the Kefauver Commission turned their attention to South Florida, the bookies and mobsters chose to get out of town rather than have their business dealings revealed to the public. There were a lot of sensational murders, lynching’s and corruption cases to fill the headlines in the 1930s, 40s and 50s. The details of some of the most infamous cases in the region’s history are discussed in part two of the series on crime in South Florida. Click on the play button above for a FREE preview of this episode. Cover photo of Wofford Hotel courtesy of Florida Memory.